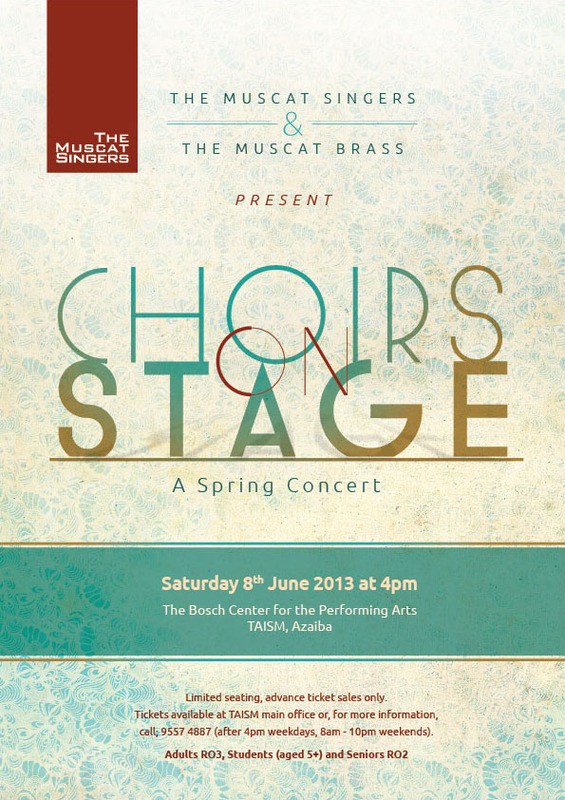 This coming Saturday, 8th June, sees' the latest concert from the Muscat Singers, with their Spring Concert at the TAISM theatre (Bosch Center for the Performing Arts). The theme this year is "Choirs on Stage" with the playlist coming from operas, operettas (whatever those are), musicals and films. 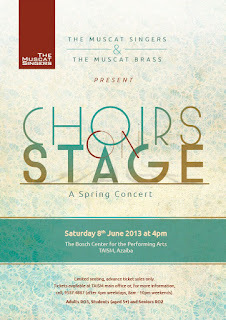 There's going to be a brass band supporting them, The Muscat Brass, as well. It all kicks off on Saturday June 8th at 4pm. Tickets cost a very reasonable RO 3 for adults and RO 2 for kids, and seniors. There are a few tickets left, and you can get them by contacting 9557 4887 after 4pm.